Children age 4 through 5th grade are invited to attend Esperanza’s Funday School on the 2nd Floor during the 8:30 a.m. Service. During Funday School, students begin with prayers and a song, discuss the Scripture lesson for the day and complete a craft and game. A small snack is also served. Children begin in the 8:30 service. After Pastor Steve’s Children Message, students are led up to the 2nd Floor. Children are picked up on the 2nd Floor following the 8:30 Service. 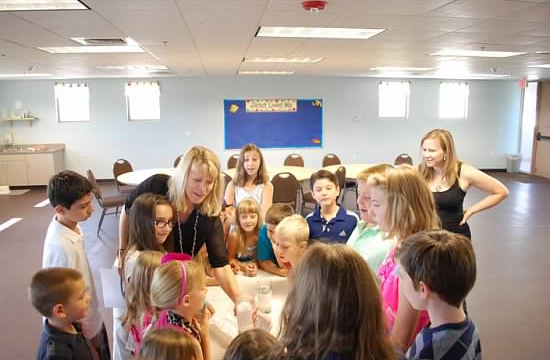 If you have any questions, please contact Kathy Tuszynski, Children’s Ministry Coordinator at 480-759-1515 or familyministry@myesperanza.org.